Debate video is now available! The Aquinas Institute for Catholic Thought is thrilled to announce our 7th annual "Great Debate". This year, CU's own Dr. E. Christian Kopff will square off with Monsignor Stuart Swetland of Mount St. Mary's University in Maryland over the morality of capital punishment asking the question, "Should the U.S. Support the Death Penalty?" 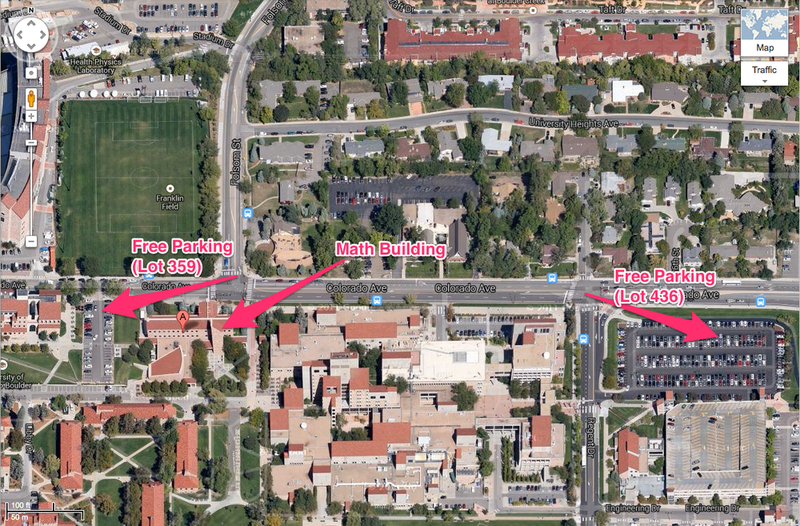 The seventh annual Great Debate sponsored by the Aquinas Institute for Catholic Thought (AICT) will be held on Friday, January 31, 2014, at 7:00 p.m. on the campus of CU in Math 100 (see map below). Monsignor Stuart Swetland of Mount St. Mary’s University in Maryland and CU’s Dr. E. Christian Kopff will go head-to-head debating the morality of the death penalty. Tickets will be free for all college students and $5 for all others. Tickets are available online now at www.ticketriver.com/event/9276 for non-student tickets only (a small processing fee applies for online sales). We will also be selling non-student tickets and distributing student tickets at all weekend Masses January 18-19 and 25-26. Mark your calendars as tickets are expected to sell out quickly! For more information, please contact the Student Center at 303-443-8383 or email scott.powell@thomascenter.org. Don't forget to join us for a reception at the St. Thomas Aquinas Student Center (1520 Euclid Ave-see map below) following the debate! He is a Fellow of the American Academy in Rome and has been awarded grants from the National Endowment for the Humanities and the CU Committee on Research. His book,The Devil Knows Latin: Why America Needs the Classical Tradition(ISI Books, 1999; third [paperback] edition 2001) is widely cited in the new Classical Education movement. Msgr. Swetland was ordained a priest in 1991 for the Diocese of Peoria, IL. He received his undergraduate degree in Physics from the United States Naval Academy. Elected a Rhodes Scholar in 1981, he entered the Catholic Church while studying at Oxford. He has a B.A. and M.A. in Politics, Philosophy and Economics from Oxford; a M.Div. and M.A. from Mount St. Mary’s Seminary; and his S.T.L. and S.T.D. from the Pontifical Lateran University having studied at the John Paul II Institute for Studies on Marriage and Family in Washington, DC. Msgr. Swetland also holds the Archbishop Flynn Chair of Christian Ethics at Mount St. Mary’s University, Emmitsburg, Maryland, serves as the Executive Director of the Center for the Advancement of Catholic Higher Education and the Executive Secretary for the Fellowship of Catholic Scholars. Msgr. Swetland was named a Prelate of Honor in 2000 by Blessed John Paul II and is a Knight Commander for the Equestrian Order of the Holy Sepulchre and a 4th Degree Knight of Columbus. Msgr. Swetland hosts the weekly television show Catholicism on Campus on EWTN and co-hosts the show Go Ask Your Father on Relevant Radio.